Family History Service is relocating to the Unley Museum. For more information about this service click here. The Family History Service previously at Goodwood Library has been closed over the Christmas period, and will reopen at the Museum, on Wednesday 18th January. The service will be available on Wednesday and Thursdays at the Museum. 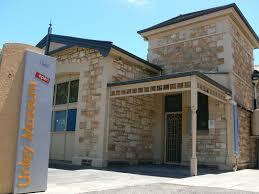 The Family History team are contactable at the Museum on 8372 5117 or familyhistory@unley.sa.gov.au from next week.